Impaired dri ving, whether due to alcohol or other drugs, kills. We all know this long before we are old enough to step behind the wheel. Yet, for reasons we’ve never truly been able to understand, people continue to choose to drive drunk and drive under the influence of illicit drugs. Our Oakland drunk driving victims’ law firm works with the families left grieving because someone else made a dangerous decision that had terrible consequences — consequences that are all the more tragic because impaired driving deaths are both foreseeable and completely preventable. At least two families are facing the grim realities of impaired driving after a deadly crash occurred in Vacaville early Sunday morning. CBS SF reports that the driver of a Jeep SUV had pulled onto the shoulder of eastbound Interstate 80 near Lagoon Valley around 5:30 AM because she was feeling ill. After she exited her vehicle, a Honda Accord drifted into the shoulder and hit the SUV, causing the Jeep to spin and hit the driver. A woman inside the SUV died at the scene and the SUV’s driver and two other passengers were taken to a local hospital with minor to moderate injuries. The driver of the Accord had to be extracted from her vehicle by emergency crews and was also taken to the hospital where she later succumbed to her injuries. California Highway Patrol officials believe that the 28-year-old driver of the Honda vehicle was intoxicated at the time of the crash. According to the Centers for Disease Control (“CDC”), 9,967 people died in alcohol-impaired crashes in the United States in 2014. That figure represents 31% of all traffic-related fatalities nationwide. Looked at another way, that amounts to a startling 28 deaths per day involving alcohol-impaired drivers. 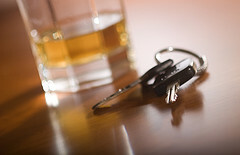 It is harder to pinpoint the impact of driving under the influence of other drugs. Still, the CDC estimates that some 16% of motor vehicle crashes involve drugs other than alcohol (both legal and illegal). The CDC is concerned that the U.S. may see an increase in drugged driving deaths corresponding to an increase in marijuana use. As a victims’ law firm, we see the very real faces behind the statistics. We cannot bring back the loved ones lost to drunk driving and we cannot take away the pain left behind after a deadly crash. What we can do is help the surviving relatives file a wrongful death lawsuit and/or other civil claims. As laid forth in Civil Jury Instruction 3921, a claim for the wrongful death of an adult may include both economic and non-economic damages. Economic damages represent the direct financial consequences of the death and include the value of the financial support the deceased would have contributed to the family (based on the life expectancy of the deceased or the plaintiff, whichever is shorter), the value of other services the deceased would have provided to the plaintiff (e.g., housekeeping, child care, etc. ), and the funeral/burial expenses. Noneconomic damages are often harder to calculate and are the law’s attempt to compensate for things like lost companionship, guidance, and emotional support. Attorney Greg Brod has been practicing law in California since 1996. He has extensive experience helping families recover compensation when impaired driving has deadly consequences. If you have lost a loved one due to a drunk or drugged driver in Northern California, call our wrongful death law firm in Oakland, Santa Rosa, or San Francisco. We cannot change the past, but we can help you begin to move forward after a tragic loss. We also urge everyone reading this post: Don’t drink and drive and don’t drive while under the influence of other drugs. The potential consequences are far too terrible and all too real.